Home Spinning and Dyeing in Cornwall, UK. Contact My full contact details can be found here. Dyed Fibres A range of fibres hand-dyed with acid dyes. Silk Scarves Silk Scarves approx 12" x 60" hand-dyed with acid dyes. Spindles Working spindles from ancient whorls. Events Diary A diary of all the events I'm involved in! 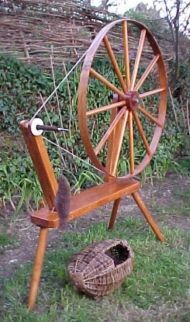 Links Sites for spinners and dyers; other links; instruction sheets. Video Clips Spinning and fibre preparation video clips.